Dr. Brian Gray’s forte is aesthetic reconstruction with an emphasis on cosmetic ceramic restorations. He graduated from Georgetown University’s School of Dentistry in 1986, where he participated in the first international dental student exchange program, and completed an externship at Trinity College in Dublin, Ireland. Dr. Gray received his undergraduate degree in 1982 from Loyola University of Chicago. In private practice since 1986, Dr. Gray is an active member of the American Dental Association as well as a member of the District of Columbia Dental Society, where he received the 2000 Mast Award for Continuing Education Teaching Excellence. He is a master in the Academy of General Dentistry and a fellow in the International Congress of Oral Implantologists, the Academy of Dentistry International, and the International College of Dentists. He is also an accreditation candidate of the American Academy of Cosmetic Dentistry. He is a past president of the Patuxent Dental Society and Southern Maryland Dental Study Club, as well as a founder/member of several study clubs. Dr. Gray is a graduate of the Pacific Aesthetic Continuum (PAC live), regarded as the pinnacle of postdoctoral cosmetic training in a “live patient” environment. Dr. Gray served a four-year term on the ADA Council on Scientific Affairs. In July 2010, Dr. Gray was awarded the Academy of General Dentistry’s prestigious Lifelong Learning and Service Recognition, an honor bestowed upon only 115 dentists since its inception. Dr. Gray is an international lecturer at dental conferences on current technologies in dentistry. He has spoken in more than 200 US cities and eight countries. In addition, he is a continuum member, mentor, advisor, and instructor at the L.D. Pankey Institute in Key Biscayne, the Dawson Institute in St. Petersburg, and a board member of the Texas Institute for Advanced Dental Studies. He is also a board member of the Arlington Free Clinic. 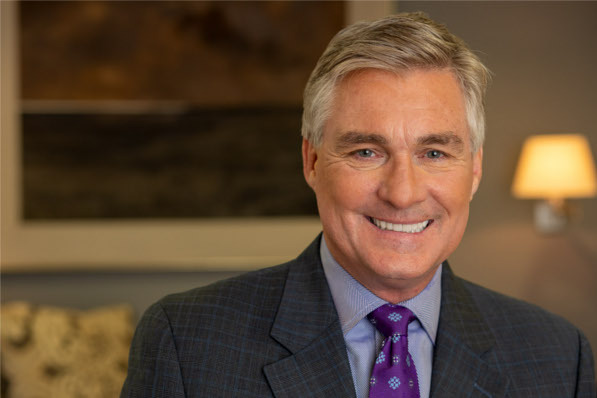 Dr. Gray’s distinguished affiliation with these leading dental organizations enables him to bring the most advanced techniques to our practice. A number of leading manufacturers and nonprofit research facilities rely on Dr. Gray’s input for product evaluation, research, and development. He is a valued consultant, the longest-tenured faculty member, and the number-one certification speaker for Align Technologies, the manufacturer of Invisalign® clear aligners. He has certified more than 20,000 doctors in this revolutionary orthodontic technique. Dr. Gray lives in Arlington with his wife Danine and their three children: Cailyn, Kyra, and Brendan. Brian loves an adventure, especially if it involves the outdoors, sailing, mountains, endurance sports, scuba, or old cars.